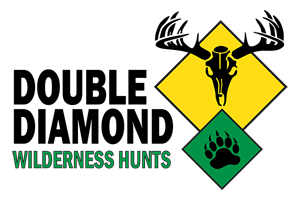 Featured Bear Hunting outfitters, guides and lodges. Arizona offers some extraordinary trophy bear hunting with many record book boars harvested every year. We primarily hunt in late summer to early fall August-October. During this time bears are very active during the day time and spend majority of their day exploring for food. Bears come in many unique color phases, black, chocolate, cinnamon, and blonde. On our hunt expect to do a great deal of glassing, walking, and hiking so you must be in good walking shape. These hunts offer a lot of excitement and has a very high success rate. Guided black bear hunting with Ivory & Antler Outfitters. Contact us with questions. Agassiz Outfitters offers Spring and Fall Manitoba black bear hunts with a rifle, muzzle or bow. Our untouched and remote wilderness Manitoba black bear hunts are done in over 3000 square miles of some of the most remote areas the Interlake Region has to offer, with most areas never being hunted! Agassiz Outfitters has over 25 years of outfitting experience.